HomeblogMobile Massage Hall of Fame: Linda, We Will Miss You!!! It is bittersweet as we bid Body Well’s most prolific and dedicated massage therapist ever, Linda Wilson, M.D., LMT, farewell, as she formally retires in a few days. 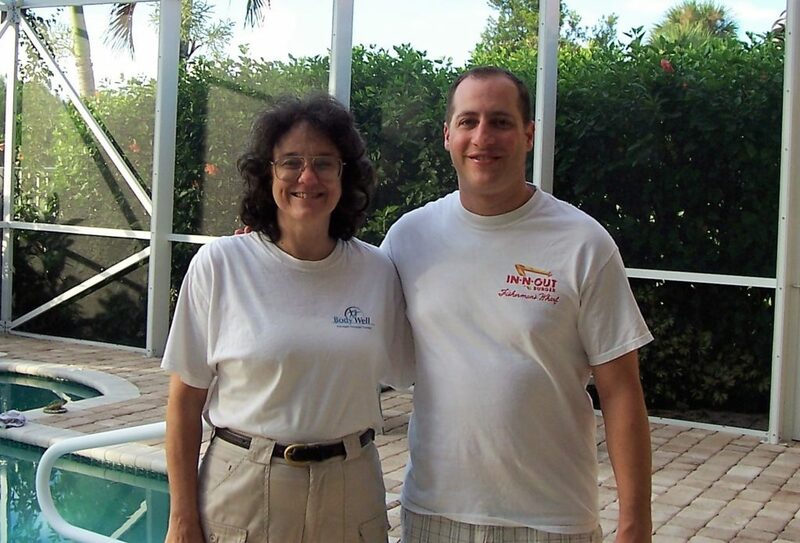 Owner Dan Melmed stands with all star therapist Linda Wilson in the early days of Body Well circa 2006 in Palm Beach County. Linda, who turned 65 this year, will return to her home state of Michigan where she will share a house with a friend on a 100 + acre wooded ranch and her several cherished dogs. Linda has been at the bedrock of the company for many years. Her reliability and loyalty over the years cannot be overstated. Yet there’s more to this interesting individual and our story! Learn a little about my friend and the hardest working massage therapist I’ve ever seen, Dr. Linda Wilson…. In 2005 when I was just getting the company going, Linda responded to a classified ad I had placed in the Palm Beach Post help wanted section (if you can believe that people still used an actual newspaper for such things). 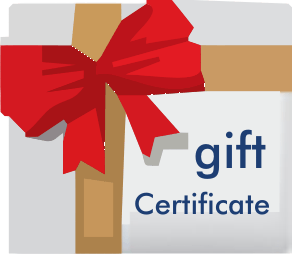 It was surprising to have an applicant who was formerly an emergency room physician! The first question people always ask when I mention that Linda is a medical doctor (and frankly the first question on my mind when I met her) is why she would have left her medical career to become a massage therapist. “I didn’t like all the politics” she once told me. Those who know Linda are not surprised to hear this from her. Linda is one down-to-earth lady and she is one of the most genuine people you’ll ever meet. “Salt of the Earth” as one of her early regular customers told me. Linda didn’t want to worry about promoting this new pharmaceutical drug or that one, and didn’t want to worry about insurance complications or medical bills. She just wanted to help people the best way she knew how. Ultimately, she found that simply working with her hands mostly on her own, doing what she could do to help people feel better to the best of her ability was what gave her the greatest pleasure. Linda gave up a doctor’s 6-figure salary when she moved to South Florida and took up her labor of love: massage. She lived in a modest home where she also cared for her elderly mother until she passed away last year, went through more than a few used cars, and didn’t take a single vacation in all the years she worked with us. The only time she took off each week was for her Tuesday night choir rehearsal and her mother’s Thursday afternoon doctor appointments. From her first few clients we were already getting requests for her to come back. This quickly demonstrated two things that told me I had found a winner: clients love her work, and she is honoring our professional relationship by keeping the clients in the Body Well family. When Linda gave her word, she kept it. I requested Linda a number of times myself! Why do so many people love her work? Linda’s technique is definitely not typical. First off, she specializes in deep tissue work. It is generally vigorous. Honestly, it can be uncomfortable at times and in spots – not unlike a deep and sometimes painful foot massage if you can relate – but she does throw in some soothing strokes here and there. It’s one of those massages where afterwards, you can literally feel it over your entire body “Wow I just had a serious massage!” and you quickly realize you feel great! I’ve never met a more reliable therapist thank Linda. In 12 years I cannot remember her ever missing an appointment. And she would make the best of any situation even if the client was a creep, drunk, or 400 pounds and sweaty. Linda showed up with a job to do and she got it done. Linda was often met with skepticism when she showed up on a client’s door step. Who is this older woman with the salt and pepper hair, large glasses and wearing medical scrubs on my doorstep? Will she have the stamina to do two deep tissue massages in a row? We even had people call to ask that very question upon her arrival! I had to laugh and told them Linda has more energy than our youngest three therapists combined! She would win over her skeptics almost every time, and the next time they called it was to say they had just had the best massage of their life and wanted to book her again for the next week! Linda is a huge college sports fan, especially Michigan football! Up until just a few years ago she would still tape games on her VCR if she had an appointment to run out to. The one whole day each year she always requested not to be called was New Years Day – she liked to watch the Rose Bowl Parade and all the great college bowl games around the country. If her client happened to be a sports lover, she was happy to have a game playing pm the TV in the background while she worked away. Linda is certainly one of a kind and that’s why so many clients were so loyal with her for years and years. Not everyone loved her style or massage or her no-nonsense bedside manner, but those who did knew she is someone special. She will be impossible to replace (although we are going to do our best)!. When she informed me of her retirement plans, Linda said the thing that she will miss the most leaving Florida is working with Body Well and all of the great clients she got to know and help over all these years. Linda will be missed by our office staff and her clients more than words can describe, but it warms my heart to think of her relaxing on the porch of a house on a huge wooded property up in Michigan sipping some ice tea and watching her dogs run around without a care in the world. You’ve earned it Linda! On behalf of everyone at Body Well, we will miss you Linda and wish you a long, happy and healthy retirement! Thank you for your many years of dedicated service. We could not ask for more and wouldn’t have had it any other way!